A smart card can be used for many applications, including banking, payment and identification. One of the prominent use of smart card in Malaysia is MyKad, which is the Malaysian national identification card. 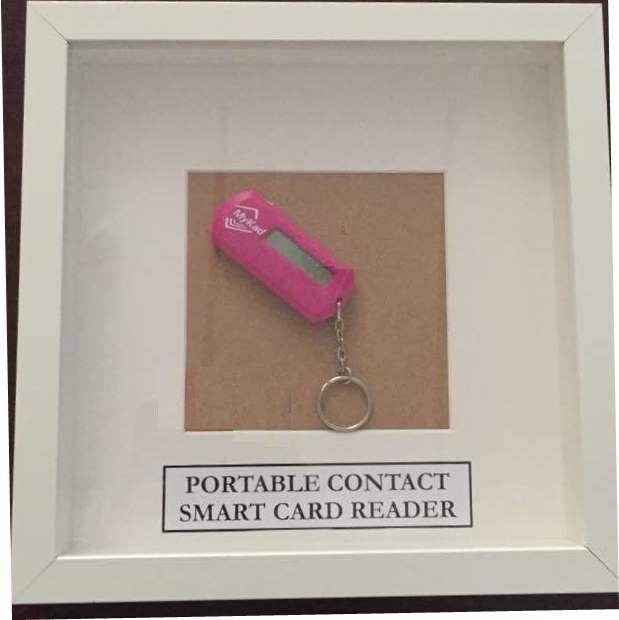 The display is an example of a portable MyKad reader, called the KeyRing reader. It can read the open data on the MyKad which includes the name, identification number, and the address of the MyKad holder.